Ah yes, the great novel. Some of us who love to write feel we may possibly have one of those within us, though how this is panning out in my life, I should be calling it the Illusive Novel! Nevertheless, with this in mind, some time back I decided to start seriously reviewing everything I was reading with the view to analysing what works best. And being an avid reader, I get through a lot of words most weeks. Now I realise reviewing is very subjective, but the more writing I do, the more I find I am focusing on the quality of what I’m reading. And with my teaching background and basic experience in both proofreading and editing, assessment of any piece of writing is second nature to me ~ there is almost always something I could change! Overall, it has been an interesting exercise as it has given me the opportunity to look at different genres, and examine themes, premise, plots and writing styles. So, what did I notice? Apart from discovering a few wonderful authors, most of what is out there for the general reading public is fairly ordinary, which is surprising, given that it actually gets published. But the main thing, for my reading pleasure, is that there are often far too many unnecessary words. And that is the quandary. I am a person who doesn’t like to waste words. Now there is a big difference between well-crafted sentences that leave one breathless with their beauty and insight, and words that just fill a page. For me, the page-fillers are what drag a novel into total boredom. But given that all the words of a novel would, for many readers, be a necessary part of their reading experience, could I ever get enough words together to write a novel? And then there is the emotional journey of writing a novel. Does one need to experience the full impact of what one is writing about? I would say most definitely! To date I have only written about real experiences, and undeniably, the personal impact has been great. However, turning those experiences into a novel would be something quite different. Would I examine the subject matter sufficiently to get out of it what it deserves? Would I delve deeply enough into characters which my audience could relate to? Would I describe the setting and the scenes well enough so that the reader was transported there? Would the quality of my writing pass my own standards? Would I engage the reader, and would I use enough words? While I’m far from light and fluffy, I’ve never been one for rambling on either. Concise and to the point suits me just fine. The older I get the less questions I ask, the less drama I focus on, and the less I have to say about the problems of the world. It’s that ‘been there, done that’ feeling. But of course, it’s deep and intense involvement which makes for a great novel. And when I was much younger, like everyone else, I felt all those deeply intense emotions. It’s probably then that I should have written a novel ~ when all the highs and lows were ripe and bursting. If I had had the time, I probably would have. Today, however, I don’t really want to revisit those intense highs and lows in such great detail, and to write a novel I would have to do just that: revisit tension and drama. Not so long ago I was dumped by a social media ‘friend’ because we hadn’t interacted for quite some time. Truth is I couldn’t take the ongoing drama so I stopped communicating. The energy just didn’t fit. So I withdrew and waited for the chop, and thankfully it came. I sent her off with smiley wings, and with a sigh of relief, went back to focusing on the important stuff ~ being happy. And therein lies the whole question. Am I prepared to go to the depths of what it takes to write a novel when my life is all about focusing on joy and happiness? I know the more writing I do, the better I get, but do all the scribbled notes, thoughts and ideas that litter my desk make me a novel writer in-waiting? We shall see. Maybe one of these days I will be willing to find enough words to explore a meaningful subject through insightful characters, and tell a story which takes me to the heights of joy. Just maybe! Happy dance ~ the final edit is done! The words are written, the photographs are all in, and the formatting is done ~ it’s finished. A year of solid work is now polished and shining. 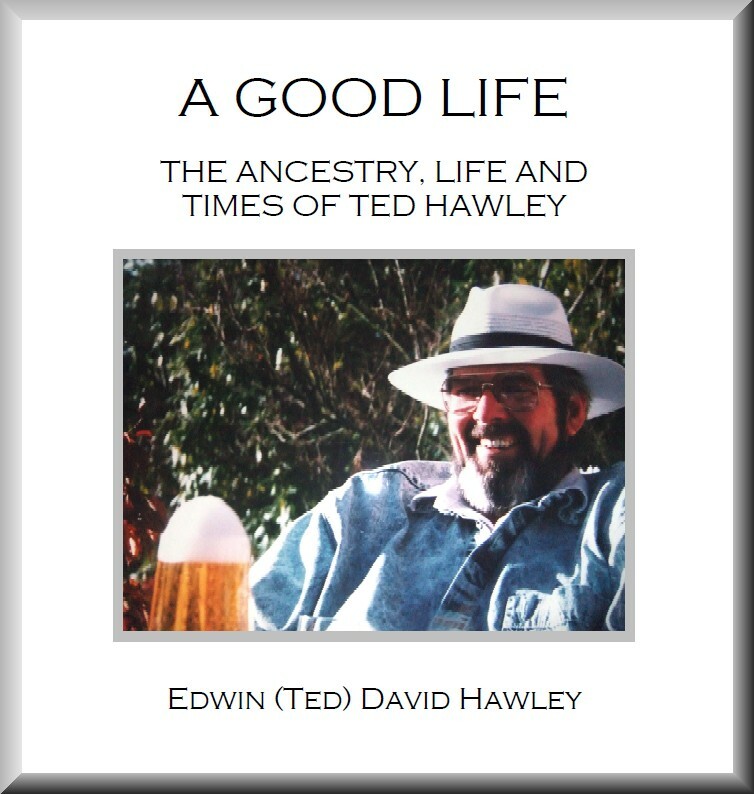 Hubby’s memoir, ‘A Good Life’, is now ready for the printer, and there’s no better feeling than being satisfied with the end result. It’s exactly how I envisaged it would be, and Hubby is very happy to have a record of his life. For him, it has been a long held desire and he has dedicated the book to his four beautiful daughters with the following words: “To know your ancestors is to know yourself”. This is my second labour-of-love book for the family. 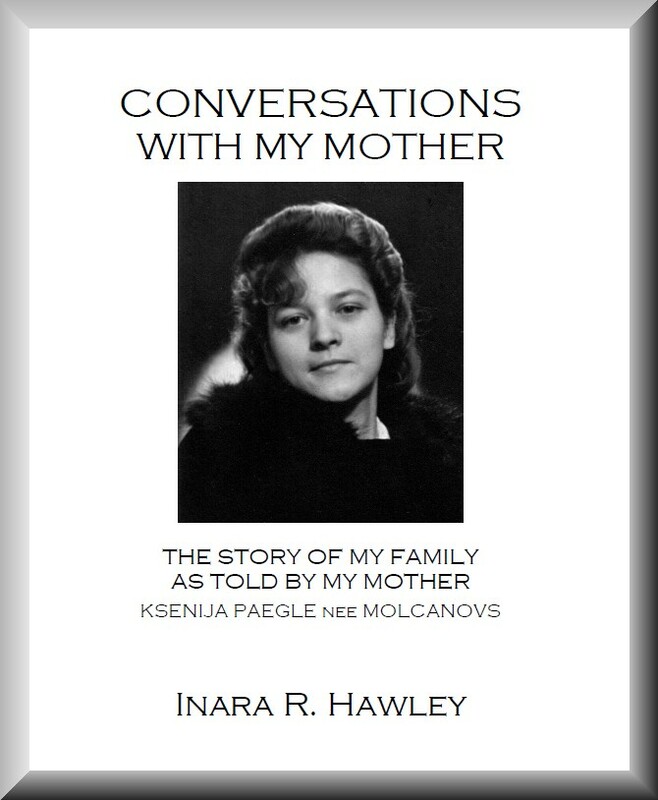 The first, ‘Conversations With My Mother’, was the story of my parents’ life from their early days in Latvia where they were born, leaving behind their beloved homeland, surviving the Second World War and crossing the oceans as refugees to start a new life in a country further away than they could ever have imagined. Sitting and talking with my mother about their life was a gift and a blessing. Putting it all into words was for me, an intense and emotional journey, one which took two years and a lot of tears. 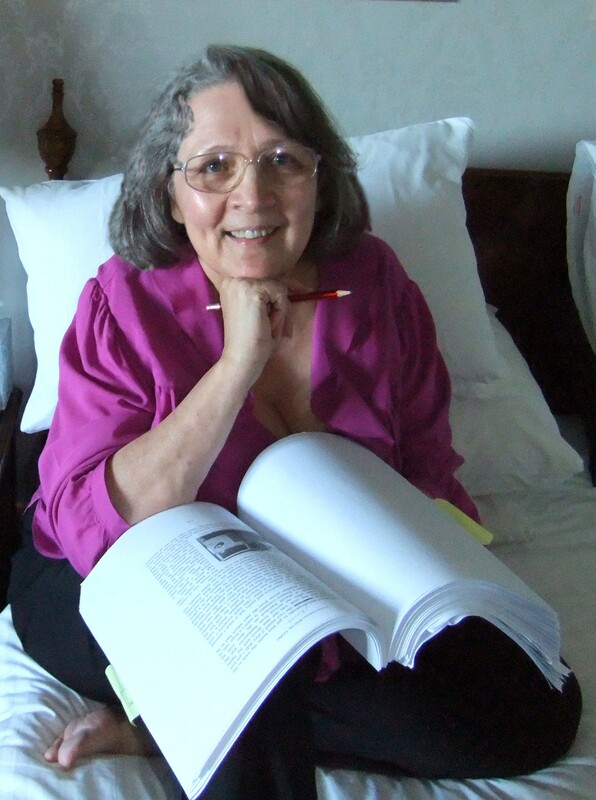 When I finally put the book into my mother’s hands I could see how much it mattered. It was her legacy. Hubby’s memoir, however, was quite a different journey ~ it is about a very pleasurable and happy life. I worked from his notes, which he had put together over a five year period. Each time he sat down to write, he did it randomly from memory without referring to his previous notes, so there was not only repetition, but time gaps as well. A challenge indeed, but a beginning nonetheless … and there’s nothing I like better than a good challenge! I sorted, edited, and added words, and asked lots of questions, the most frequent of which was: “And how did you feel about that?” I also followed his brief, putting it together the way he wanted it structured, and of course, wrote in his voice. Expressing someone’s life and thoughts onto the page is a most unique and rewarding experience. The end result is 81,200 words and 370 pages covering 4-5 generations of ancestry research, and the life and times of a man who has had a very good life indeed. When I picked it up again last week for the final edit (there have been at least three previous edits), I had not looked at it for about 12 months, and I must say, it was a great feeling to find that I was impressed ~ it’s good! And it reminded me of how much I love the whole process from start to finish. For me, the challenge at the beginning is like a little tickle which births an exciting bubble that grows with each new page of words. In its creation it becomes a world of its own, one which I stepped into every day and made mine until it was finished, until that final edit when the pages were not part of me anymore, but an entity of their own. Then I knew it was done. One day I’ll turn my hand to fiction, but for now, what I enjoy most is writing true-life stories and exploring what they mean to each one of us. That’s what this blog is all about, and one day, my stories will become part of my book. I hope that the final edit is something I will always be working towards. Today I want to talk about what inspires me to write; how I find my voice and write from my heart. So what is inspiration? For me, it’s a feeling of excitement, it’s an idea, it’s the spark of intention, it’s the beginning of action ~ it’s a movement forward that comes as naturally as part of one’s being. In fact, it’s a ripple that can be the beginning of something truly remarkable! The inspiration to write is all those things wrapped up in a parcel that bursts forth when you find your voice, and it can come from the most surprising sources. This past week it came with full force from two most unexpected sources. The first was through a ‘select’ social media group, one which I was invited to join because I was seen to be ‘a good fit’. Well that of course was very flattering, and while I wasn’t entirely sure that the group was a ‘good fit’ for me, I accepted. What I found was a group of highly driven, focused and very successful individuals in a variety of different fields beating their own drum to the point of it being almost deafening! There was nothing humble about this lot, especially the person running the group. And that’s great! There’s nothing better than the glow of success and a pat on the back ~ feels bloody marvellous! I am all for keeping one’s energy high, staying positive and focusing one’s head space in the right place, however, I am not overly fond of elitism, especially if I have to keep secrets and withhold information which can help someone else. And that’s where I and this very ‘select’ group fell out very quickly ~ I broke their cardinal rule ~ I openly helped someone else with information that I had sourced via the group. While I had not compromised the group in any way, I was told in no uncertain terms that I had broken ‘the rule’! And the funniest thing was, I was treated like a naughty child and a lecture ensued! I have to say though that what came next was a most gratifying experience. I very firmly stood my ground, made it clear I had not violated my ethics in any way, that helping others without comprising the source is what I will always do, and then very happily asked to be deleted from the confines of their ‘rules’ and ‘secrecy’. And as I said, I am very grateful and thankful for the experience ~ it was once again a reminder of who I am, who I never want to be, and I am very happy to say that I found a very clear voice to say exactly that. The other was a blog post by a friend, who is budding writer. It was an insight into his writing experiences and what motivates him. I have read many blog posts over the years, which have been interesting, entertaining and even inspiring, but because I know him personally, I know they were genuine words from his heart. He wrote of his past efforts, what he had learned and his future hopes as a writer, and how, as writers, we should all help and support each other. His words really spoke to me. We may not all become writers, but we do all have something to say, whether we know it or not. Everyone has a story to tell, and everyone has the wisdom and experience to help others. I have been in social media long enough to know I have an opinion on many things, and that reaching out across the cyber waves to extend both kindness and knowledge is a very satisfying experience. Having the confidence to speak up, or reach out however, especially via a blog or via a conversation with well known and respected people within social media, is another thing entirely. When you do speak up, it means you’ve reached a place where you trust yourself, and that is a wonderful thing ~ being ready to reveal yourself to the world and letting go of the fear is when the words start tumbling out, and if what you are saying comes from the heart, it’s easy. And so, my friend’s unpretentious, very real voice from the heart was yet another inspiration. 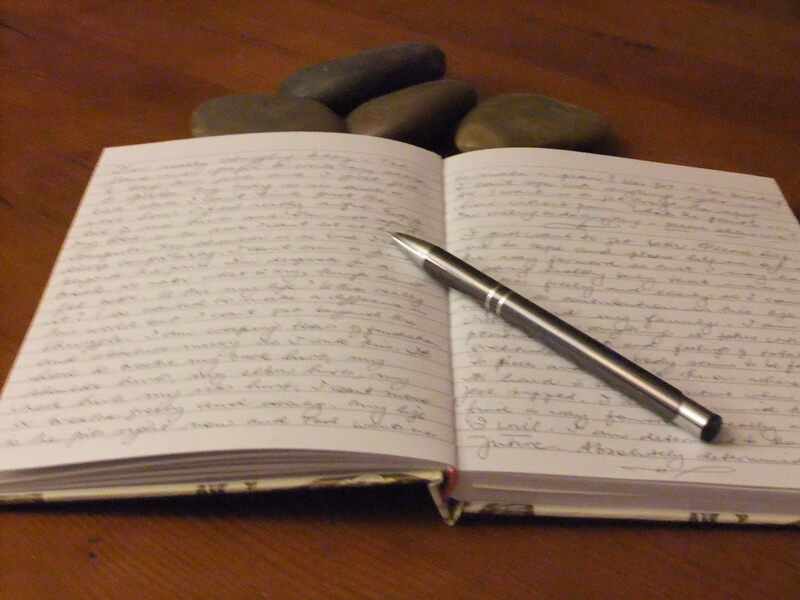 I want to start my Sunday Musings Blog with a post most appropriately about reading and writing. As a child I lived in a world of fantasy ~ very little was based in reality, even walking down the street was akin to dancing on a cloud! This could well have been a response to the hardship my parents and I experienced as post WW2 refugees. In the refugee camps in Germany my parents clung together with fear and courage, in our new country they clung together with hope and strength, and through it all I created a happy little world for myself. When I started to read my fantasy world literally exploded. I discovered reading about the age of eight, probably a little later than most because we were a non-English speaking household. But when I did, I recall voraciously devouring Treasure Island, Robin Hood, Black Beauty, The Secret Garden ~ to this day all magnificent treasures. It was so exciting to be in the world of pirates and the merry men of Sherwood Forest! I will never forget reading about the tussle between Robin Hood and Little John as they battled it out back and forth on a log perched across the river. In my mind’s eye I experienced every step backwards and forwards until Little John ended up in the drink. And Black Beard with the wooden leg and a parrot on his shoulder; even though I was a girl, he was an amazing character for an eight year old! Then I read Black Beauty and my heart opened in a way that I’d never felt before. Yes, the magic world of words was now part of who I was and something I would never again be able to do without. My urge to write didn’t surface until my high school days. I remember writing many beginnings, some of which are still firmly planted in my brain … ‘An occasional breeze stirred the desert sand’ … ‘I looked around and knew without a doubt that I was lost’ … but I never moved much beyond first sentences, though I do recall the very strong yearning to become a journalist one day. However life got in the way, and my writing really only began when I turned 40 years of age. A friend gave me a beautiful book with empty pages and I started journaling, and what an in depth experience that was! I began to delve into my thoughts and feelings in a way that was truly profound. At the time my experiences were highly emotionally charged and life changing due to a serious accident, which I will talk about at another time. I much prefer to identify with what I’ve learned and to focus on the joy of life. However, suffice to say that as a result I was examining my philosophies, beliefs, and my fears, and I poured it all out on paper. And so began years of intense journaling ~ words which both astounded and supported me through the highs and lows of a determined battle to get better. I continued until I reached a place where my fears were laid to rest, where I was at peace within my soul, and where my heart was truly open. Today my greatest joy is to feel inspired, to act with inspiration and to inspire others. Perhaps my words born from the experience of past despair, perseverance, determination, insight, joy and love can do just that! And so with the greatest excitement, I conclude this first offering.